Please note that the Ambassador Program is temporarily suspended as we work to obtain a new license to continue our humanitarian work in Cuba. We will post updates as new information becomes available. MedAid Ambassadors deliver medicines, medical supplies and equipment to the people of Cuba and to help us improve the effectiveness of our program by monitoring distribution and collecting valuable information regarding current health conditions and needs. When they return, MedAid Ambassadors file post-assignment reports and provide valuable insights that affect composition and distribution of future medical aid shipments. MedAid Ambassadors come from across the U.S. and from a wide variety of professional backgrounds. Monitor MedAid's distribution system and confirm the delivery of donated goods. 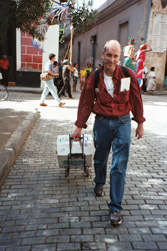 Deliver much-needed medical supplies and medicines to clinics, hospitals, and family doctors in Havana and the countryside. Collect information from local healthcare professionals regarding Cuba's medical infrastructure and healthcare needs. Make an immediate and significant impact on the health of the Cuban people. Report back to MedAid on emerging needs of the healthcare providers. Agree to perform information-gathering, monitoring and reporting duties. MedAid Ambassadors travel under licenses required and provided by the U.S. Government. 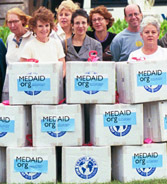 MedAid is committed to conducting all aid shipments and travel in full compliance with U.S. laws and regulations. Individual Ambassadors review their itinerary with MedAid staff before leaving to insure compliance. Ambassadors can request one of our guides to meet them at the airport and assist with transportation and other logistics while in Cuba. MedAid guides have been highly praised by past Ambassadors for their deep understanding of local healthcareissues, reliability and service. Most MedAid Ambassadors fly directly to Cuba via Miami, Cancun, Nassau, New York City, or Los Angeles. Ambassadors may make their own flight and accomodation arrangements through a travel agent licensed to provide travel to Cuba. Accommodations range from luxury hotels to small family-run rooming houses. Homestays with Cuban families can also be arranged. MedAid determines the medical provisions for each Ambbassador based on an assessment of current needs. Medical supplies are shipped to you anywhere in the U.S. via UPS or FedEx. They include a pre-packed assortment of essential medicines, medical supplies and/or medical devices. The boxes (one per person) come with handles for easy transport. A packing list is attached for customs and airlines officials. Each MedAid Ambassador pays a tax-deductible donation to MedAid to cover administrative costs. 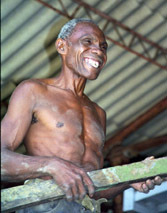 Individual Ambassadors pay their own expenses, including air and ground transportation, lodging, meals, Cuban visa any excess baggage fees, personal expenses, and if reuested, the service of a local MedAid guide.